It is vital to prepare nurses to become informed leaders with the required knowledge and skills to support effective patient care and outcomes. This article describes an innovative teaching method that enables students to create simulation scenarios based on their clinical experiences, to lead simulations and to take part in self-reflection and peer review activities. 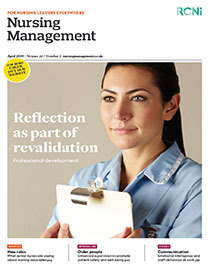 The article shows how the method can help prepare nursing students to become future leaders by allowing them to practise ‘real-life’, real-time leadership skills, and apply theory to practice in the safety of a simulated scenario.